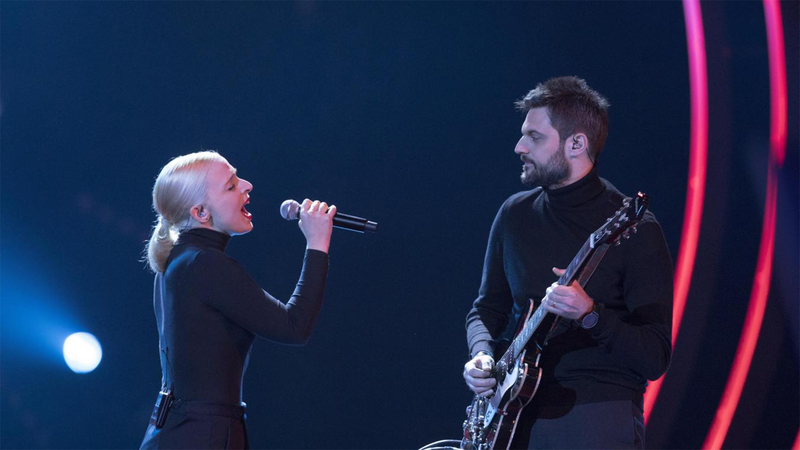 Madame Monsieur will be commentating at this years Junior Eurovision Song Contest in Minsk, Belarus on behalf of France 2. Madame Monsieur who represented France at the Eurovision Song Contest 2018, will be taking to the commentary booth this November. The duo will be joining Stéphane Bern as commentators as France returns to the Junior Eurovision Song Contest for the first time in fifteen years. France previously only participated in the contest once in 2004 when Thomas Pontier finished 6th in Lillehammar. Madame Monsieur represented France at this years contest, they are a duo made up of Émilie Satt and Jean-Karl Lucas. The pair met in 2008, and formed Madame Monsieur in 2013, with Émilie taking the role of vocalist, and Jean-Karl the producer. Their debut album Tandem was released in November 2016. France finished 13th in the final with a total of 173 points, they finished 8th with the juries on 114 points but 17th with the public scoring 59 points. The 2018 edition of the Junior Eurovision Song Contest will be held in Minsk, Belarus after the country won the bidding process before the 2017 contest even began. Olga Salamankha explained that Belarus was selected as the host for next years contest over other bids due to their long-term commitment to the competition. Since launching Eurovoix on April 11, it has been a pleasure to find out more about this amazing continent through the Eurovision Family of Events. From starting out as a small site, it's been brilliant to see the site grow and flourish and continue to bring our readers everything from the world of Eurovision. Junior Eurovision, Kazakhstan, Junior Eurovision 2018, Who IsKazakhstan: Who is Daneliya Tuleshova? That’s so cool! I’m jealous. Still waiting to find out who France is sending to Minsk.